Lots of raspberries this week! Well my raspberry story is this: Last weekend I was able to go out to Denver to visit my brother. We had a wonderful weekend relaxing, riding bikes, hiking and eating. Saturday’s adventures ended up running a little late though (would it be an adventure if it ended promptly? Something to ponder…). Our elaborate dinner plans dessert plans (who are we kidding?) soon gave way to a recipe I had been meaning to try from the incredibly talented Deb at The Smitten Kitchen Also, the fact that the store was practically giving raspberries away didn’t hurt. 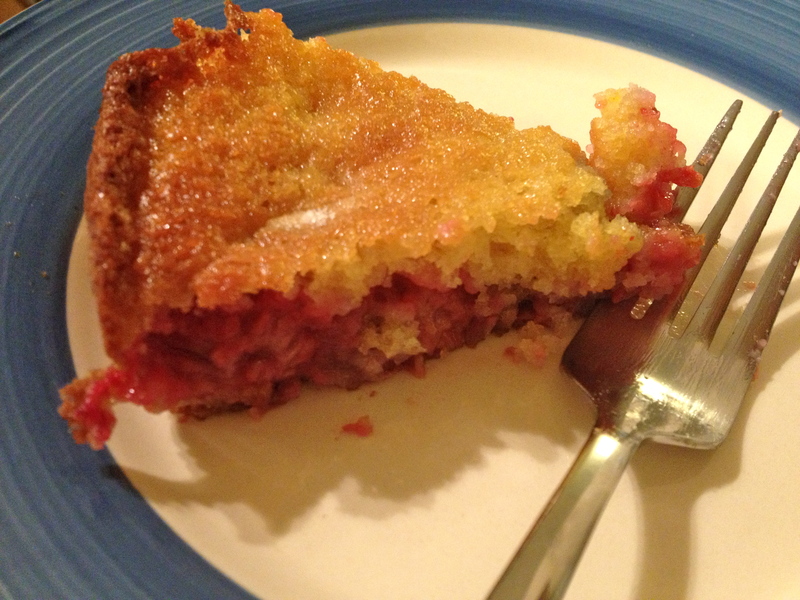 So here it is, practically word for word and rated at five stars as dessert, breakfast or late-afternoon snack. Have you ever done this? It’s far easier than greasing, flouring and turning out a cake. You don’t even have to trace, but you may have to do a bit more trimming if you don’t. 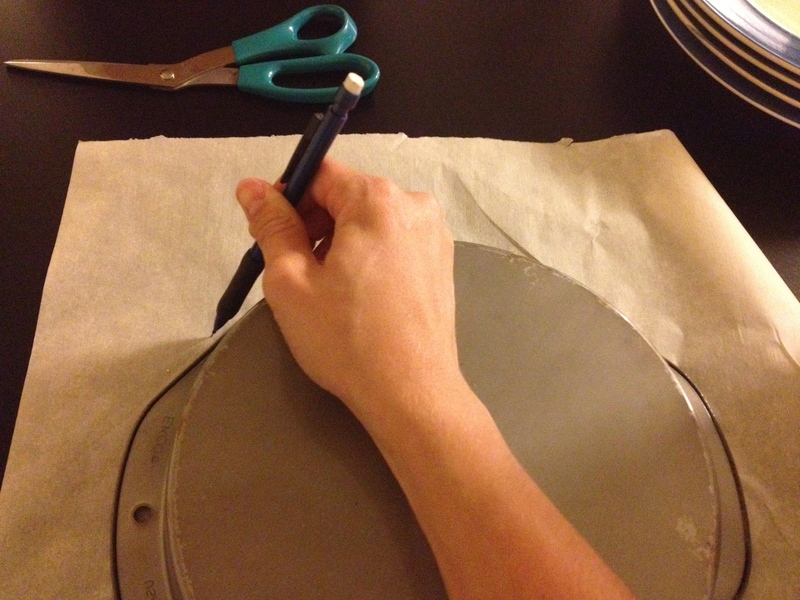 Just cut a circle out of parchment paper and cut small slits in the sides to allow the paper to overlap and lie smooth around the edges of the pan. Preheat the oven to 400F. Butter and flour an 8 inch round cake pan. 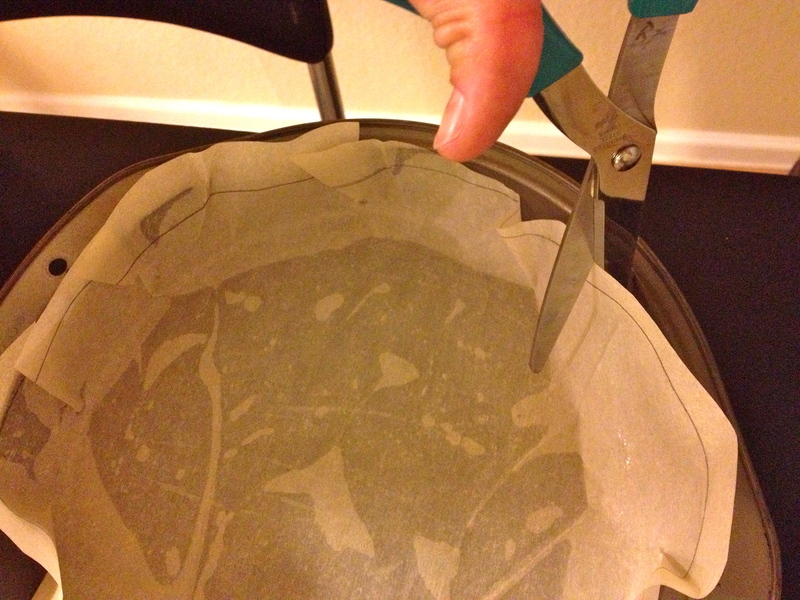 Alternatively, cut parchment paper to form a large circle. Press the circle into the pan, cutting vertical slits in the paper so that the paper lies flat along the sides of the pan. Mix the flour, baking powder and baking soda together in a small bowl. Beat the butter and sugar together until the mixture is light and fluffy. Beat in vanilla and lemon zest. Add the egg and beat well. Add the flour mixture to the wet ingredients in three batches and alternating with the buttermilk. Mix as little as possible. 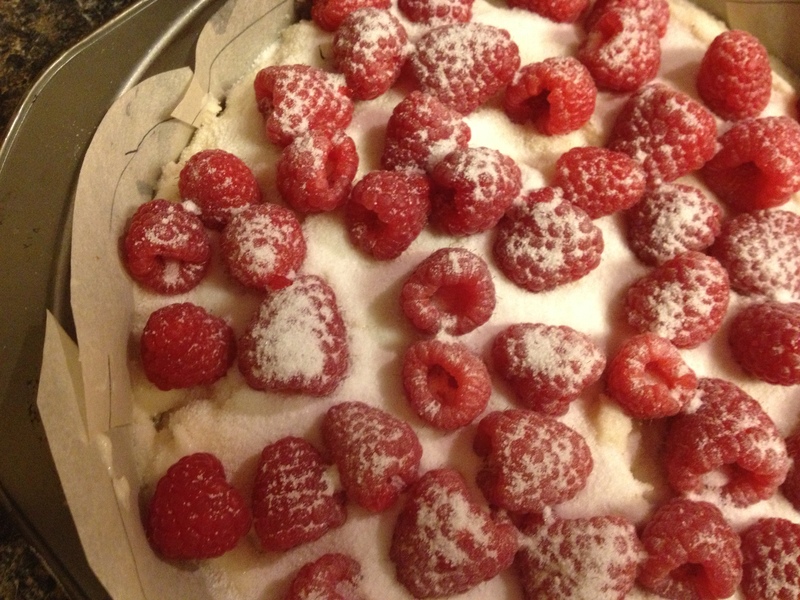 Toss the raspberries over the top of the cake. Sprinkle with the remaining 1 Tbsp sugar. Bake until the cake is golden brown around the edges, about 15 minutes. Remove the cake by either lifting the parchment paper or turning the cake out of its pan..